Granite counters. Full sprinkler. 3 bedrooms plus a bonus room (office or 4th bedroom). 2 baths. 2 car garage. Master with garden tub. Close to the elementary, middle and high school. Easy access to 130 and 45 tollways makes commuting easy. Short drive to Austin and Round Rock. Private community park and pool. 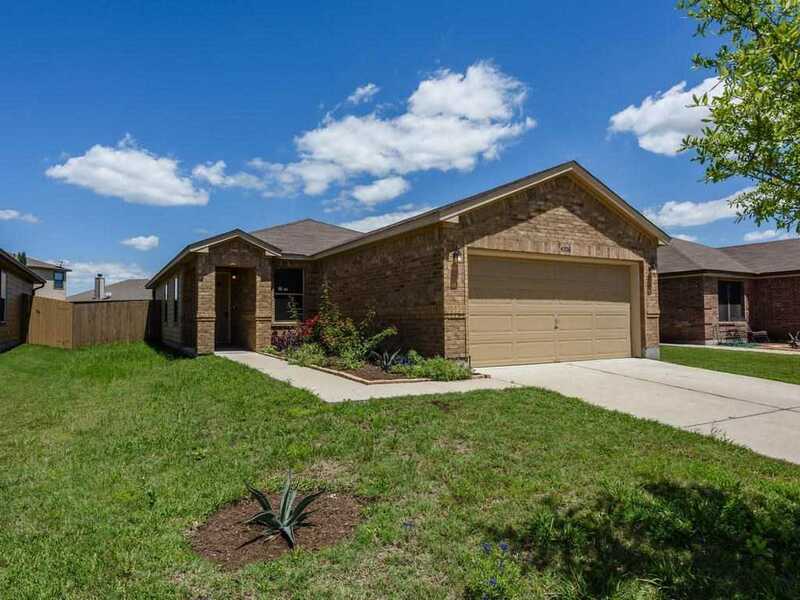 Close to Taylor Regional Park which has a lake, trails, playscapes, and sports fields. Please, send me more information on this property: MLS# 6026106 – $195,900 – 4206 Big Bend Trl, Taylor, TX 76574. I would like to schedule a private showing for this property: MLS# 6026106 – $195,900 – 4206 Big Bend Trl, Taylor, TX 76574.